The User Area is a switchboard section VOIspeed, through here the user can access some of the PBX configurations. It is accessed via the web directly from the UI, via the button that opens an internet explorer occurrence containing the user area. 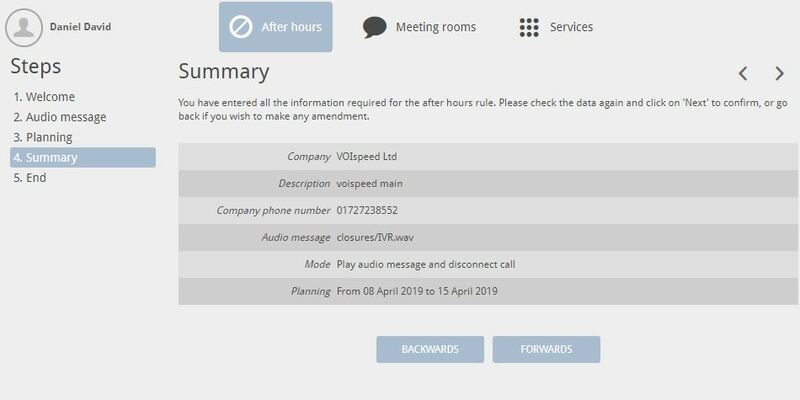 A company closure is a particular state of the VOIspeed switchboard in which all incoming calls are handled in an alternative and priority way. In this state, the switchboard responds with a message (chosen by the user) and can possibly give the possibility to leave a message in a voicemail box. Company closures are useful for managing holiday periods and extraordinary closures. Activation: sets the activation of the closure. Each closure creates an “implicit” routing rule (ie not visible in the current routing rules list) and prioritized over the routing rules of the same numbers. To create a new Business Closing, enter the Closures section and press the button or click on the link below: a wizard will guide the administrator in creating the closure. The first step of the Wizard is to configure the company numbers involved in the closure and the operating mode of the closure.  The list of PBX business numbers is shown: you can choose which numbers will be closed. The selected numbers will appear in the right column. Give a convenient description of the closure and indicate the operating mode of the closure: the Play audio and end call mode allows you to end the call after playing a message; the modes Play audio and recorded message, it is as the first one, but in addition it allows the caller to leave a message in the mailbox, to be sent by mail. Press the Next button to continue. Audio message: you will now be asked to record or select a message for closing. In the first case, type the service code indicated on the screen (default 9850) and at the completion of the registration, click on the I have completed registration link. In the second case just click on the button to browse the folder of fi the available wave. If you have chosen to leave also a message you will be asked to indicate an email address to deliver the registration. Planning: at this point, it is necessary to specify the period of validity of the closure. Outside this period the PBX will return to normal operation. Guest parking is available to choose not to schedule the closing and then enable/disable closed manually, or schedule it indicating the validity period. Indicate the validity range in days and hours of the day if necessary. Summary: After deciding on the baking mode, the Wizard is finished and the next step shows a summary of the settings made: beyond this point, it will no longer be possible to change the closure. Press Next to definitively save the closure. If the user is working on closing the company the has a GUI or has not yet loggata, but still, a terminates the connection with his same account, the configurator offers the possibility of using a service number. To register in this mode, enter the number of services: a registered entry will invite you to start recording. At the end of the recording hook up the handset and click on the link I have completed registration. This last action will automatically select the fi the just recorded that will appear in the field Select fi the audio. If you do not like the message, repeat the operations indicated. If the user has the GUI logged in, the configurator presents the possibility to record the message by clicking directly on the Start registration link; the PBX will call the ends of the associated to the user’s GUI and put immediately into communication with the service for the registration of the closing message. 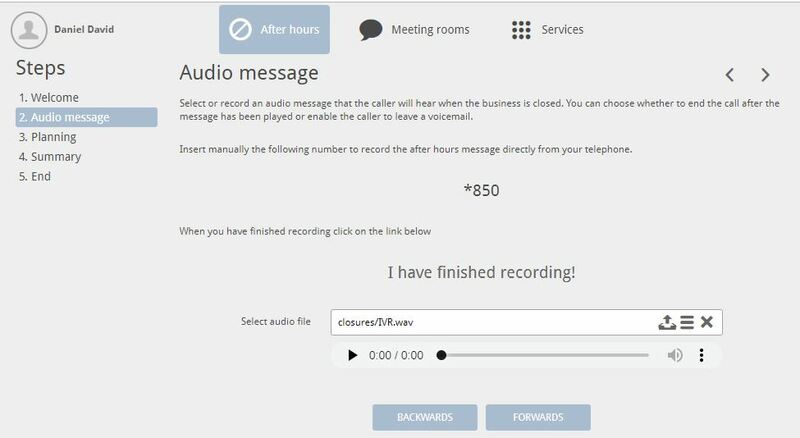 At this point, a recorded voice will invite you to start recording, at the end of the file you can hang up the handset and click on the link I completed the registration. This last action will automatically select the fi the just recorded that will appear in the field Select the audio. If you do not like the message, repeat the operations indicated. At this point, the closure is created and active. At the established date/time and for the entire time set, the calls will be routed towards closing, after which the switchboard will return to the usual operating mode. Upon entering the Company Closures section, the list of the current Company closures appears. The button displays the information of the Closure (see here on the side). Closing can be disabled by pressing on the green dot (which will turn red).